Financial giant Credit Suisse says that Apple will be accelerating the time table for its plan to add TSMC as a second source for the chips it uses on its mobile devices. Currently, Apple depends on Samsung produced chips, but tensions between the two giants have run high lately due to the high profile patent battles that the pair have had. Credit Suisse says that the Taiwan based contract chipmaker could start receiving orders from Apple as soon as the second quarter of 2013. 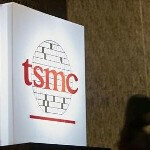 The brokerage firm had earlier expected Apple to add TSMC as a second source late in 2013 or early in 2014. Manish Nigam, head of the brokerage’s non-Japan Asia technology research division said that checks with equipment suppliers and other companies in Japan, Taiwan and China point to an earlier timeframe for Apple to start giving orders to TSMC. And instead of starting with chips produced using the chipmaker's upcoming 20nm process, Apple might start purchasing chips made using the current 28nm process instead. Credit Suisse is giving TSMC an upgrade to "Outperform" from "Neutral" and raised its target to NT$109 ($3.75 USD) from NT$95 ($3.27). The stock closed Monday at NT $96.50 ($3.32 USD). I'm just joking k? Sigh... Tsmc is a Taiwanese company, and I believe Taiwanese will never abandoned his old partner... Thats the culture... Just like you should abandon your siblings because they are your first 'friends' since you are born... That's their culture... Unless tsmc is a greedy company tho. We Chinese/Taiwanese are greedy, that's for sure, it's pretty much in our blood... Otherwise TSMC would of signed with Apple long ago instead of trying to have flexibility, grabbing sales from everyone will always be more than grabbing sales from just one. Tsmc chips are no way near Exynos chips! Samsung is a huge company, as such apparently certain parts do not necessarily agree or get along all that well other parts. The fab guys at Samsung are trying to distance the self from the phone guys, and apparently the fab Arm of Samsung has good relationship with Apple. Apple won't move away from SS, when it comes to chips, Tsmc does not have the 28nm capacity to handle Apple right now, or there demands! what exactly is apple ordering on samsung? what kind of chips? the exynos? coz they use their own chip SoC right? the a series... and what could this company actually do? Apples iphones 4->5 are based on Samsungs Exynos. They dont own any SoC, they just design it and let Samsung build it. Most of all Iphones 4/5 are based on Samsung components. Incorrect. 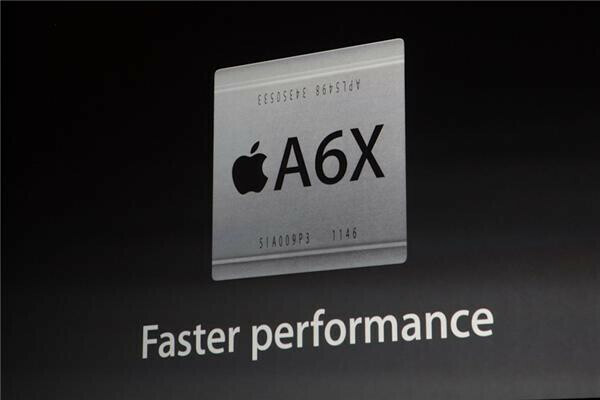 Apple has an ARM Architecture license and the A6 is a custom SoC. The Exynos SoCs are just slightly tweaked ARM designs because Samsung doesn't have an architecture license. yeah..i actually thing of that way too..apple's Aseries is a SoC of apple...they use their own GPU the swift GPU..just like qualcomm's snapdragon who use adreno GPU..but what exactly apple get from samsung? Apple is great.....always loved it. ...says the bravest man to ever post on PA. Your right. Don't see why you can't have an opinion on this website without getting bashed lol. All the OS's offer something great, and people will use what they like, not what some Internet troll says they have to like. If anything the trolls are pushing people away from whatever they're advocating.